Introducing our new “Skinntastic” ( TM), a face cream that is antibacterial, antiparasitic, antifungal and full of antioxidants. Includes a powerhouse of vitamins and minerals that boost the skin. And it deeply penetrates the skin and offers hours of protection. We expect that you will take comfort in using it in the day and the night. 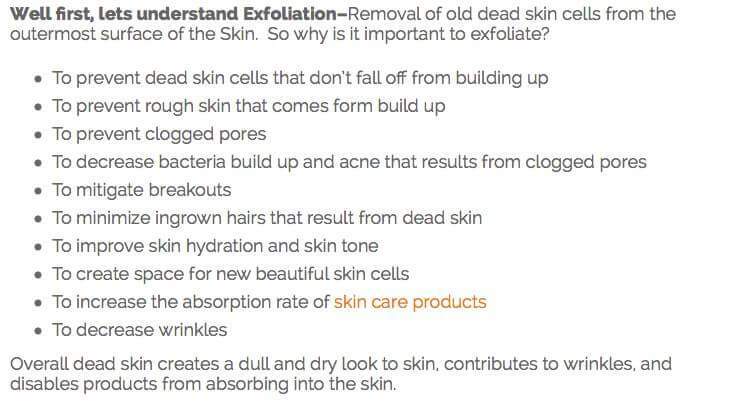 Look for our new cream Oct 31, 2018 on our website for purchase at www.mikionaturalbodyscrub.com. During your visit be sure to check out our new ” friends club” and earn a free item for every three friends you refer who buy our products. Cheers to a healthy America! 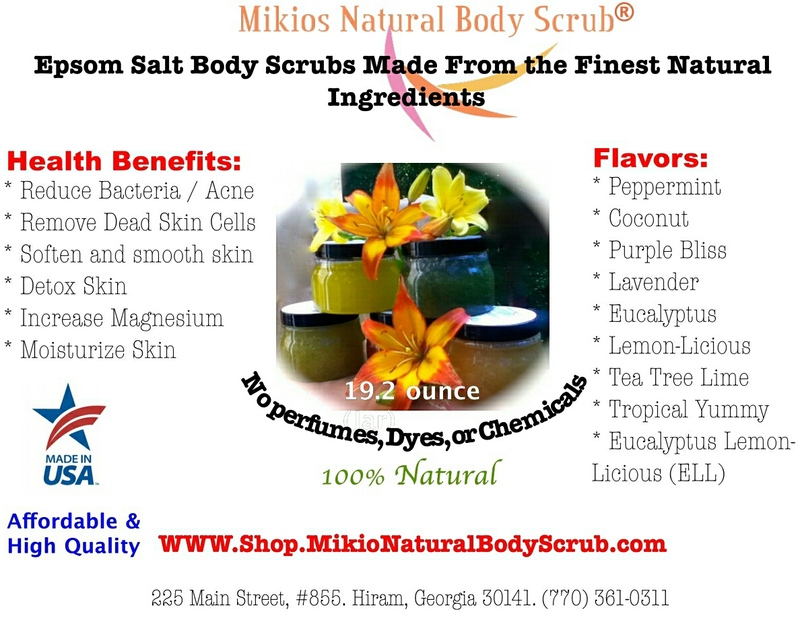 Author T. Bohler and CEO of Mikios Natural Body Scrub believes in investing in your face. For it simply takes you places and fills tons of spaces. While many of us are running several races (i.e life) at various paces we need to be armored with a moisturizer that not only feels good but actually does good to the look, quality, feel, health and maintenance of our face. Cheers to a healthy America. This entry was posted in Antibacterial, Antimicrobial, antioxidants, healthy skin, natural, natural ingredients, natural product, skin and health, skincare, Skinntastic, Face Cream and tagged 100 % pure, aging skin, anfifungal, Antibacterial, antioxidants, Antiparasitic, bacteria of skin, Face cream, Skinntastic, Skintastic. 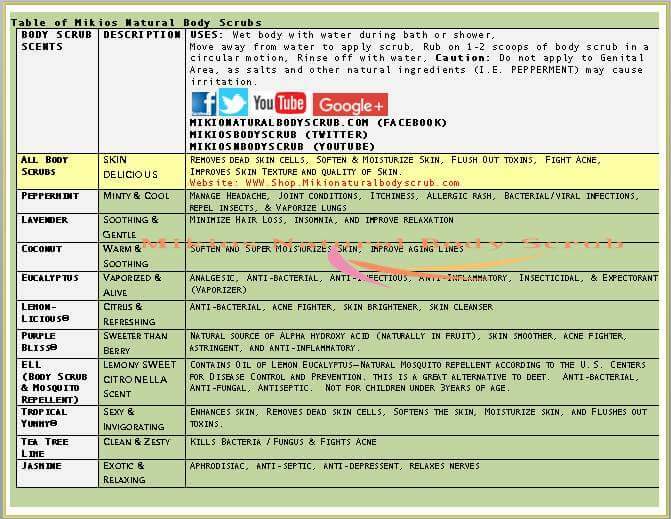 This entry was posted in about body scrub, antioxidants, bath, Bath & Body, beauty, Body Scrub, bodyscrubs, chemical free products, Coconut bath products, cure dry skin, epsom salt, eucalyptus body scrub, Eucalyptus Lemon-Licious (ELL) Body Scrub, health benefit of body scrub, healthy skin, jasmine body scrub, lavender body scrub, Mikios natural body scrub, Natural bug repellent, natural product, peppermint body scrub, Purple bliss body scrub, skincare, tea tree lime body scrub, tropical yummy body scrub.